Welcome to the TIME'S UP! store. To join, donate or make a purchase using a credit card, please click on an option from the choices below. You will then supply confidential payment information to our credit card processor, PayPal, and complete our online form. Over the years, Time's Up! environmental organization has created real positive, sustainable change with our events, campaigns, and workshops. With your continued support, we can go even further making local change that has global results. If you would like to make a large contribution, real estate donation, or sponsor an event or campaign, please contact the executive director, Bill DiPaola at billtimesup@gmail.com. To make a monthly tax-deductible donation such as $10 or $20, simply click the button below. You will then supply confidential payment information to our credit card processor, PayPal.com. Thank you very much for your support! Subscription donors will receive a complimentary membership. Membership has many benefits, most important of which is that it supports our activities, which is crucial to us as an all-volunteer, nonprofit group. To help us continue with the great rides, parties, demos, and readings, and to keep fighting for bicyclists' and skaters' rights, please become a member. We'll keep you on our mailing list, send you a Green Apple Map, invite you to special events,and more. 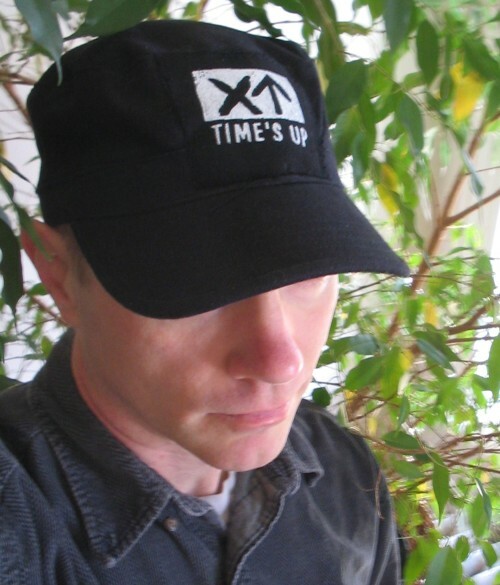 Lightweight cotton hats with the TIME'S UP! 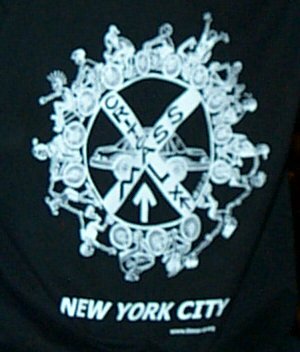 logo on the front and "STILL WE RIDE" printed on the back. 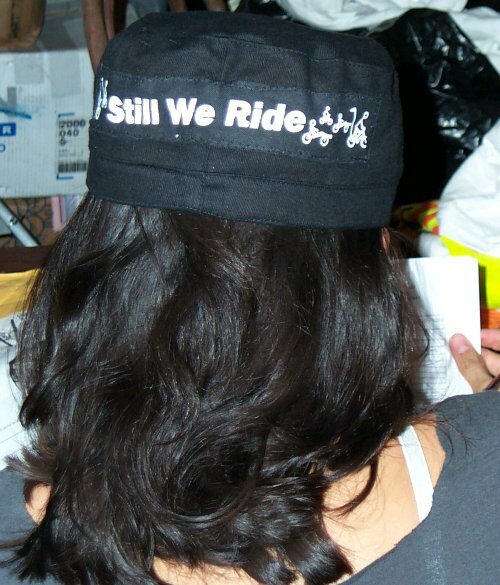 These hats empower New York cyclists to resist the New York Police Department's recent harassment. 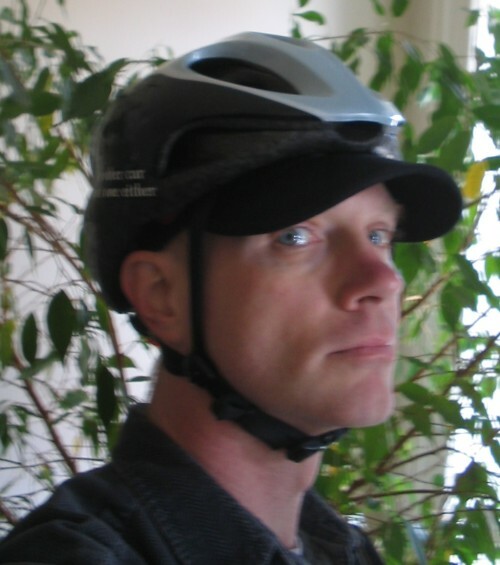 These are like baseball caps, except without that button on top, which means you can wear these under a bike helmet. All shirts $19, including shipping and handling anywhere in the US. 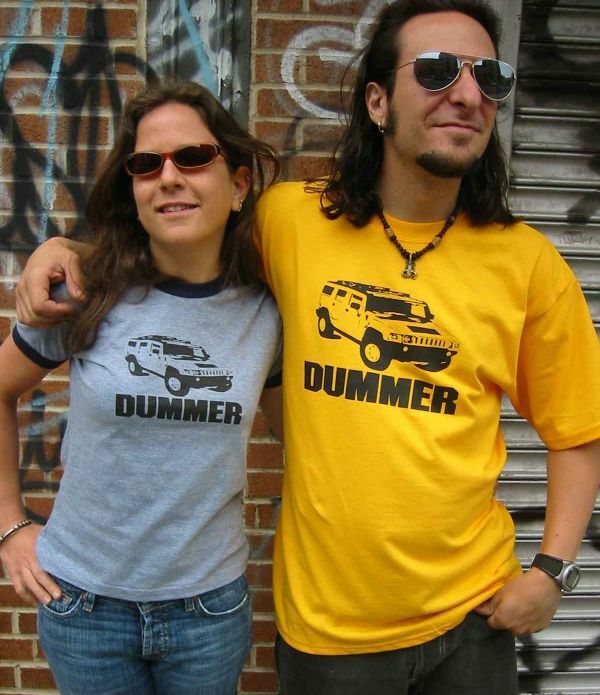 T-shirts are in assorted colors. Let us choose for you. Click on the small images for larger pictures of the shirts. 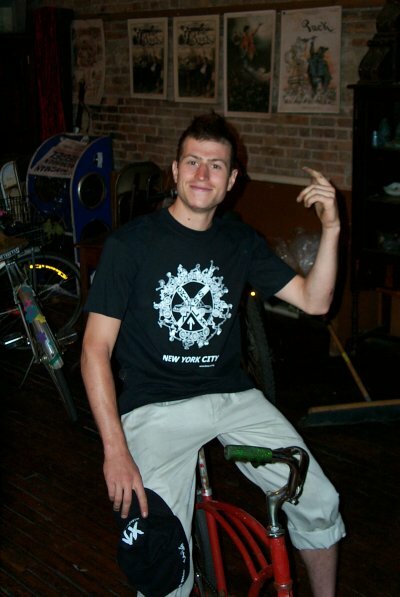 • NYC Critical Mass T-shirt. 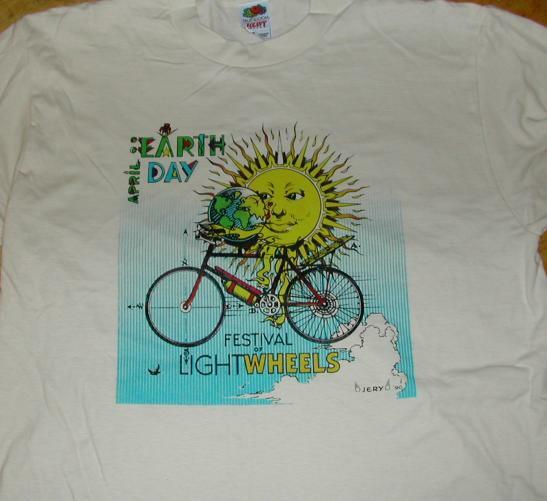 • Six color Earth Day T-shirt. • Reclaim the Streets! T-shirt. RTS traffic sign on the front and TIME'S UP! on the back. 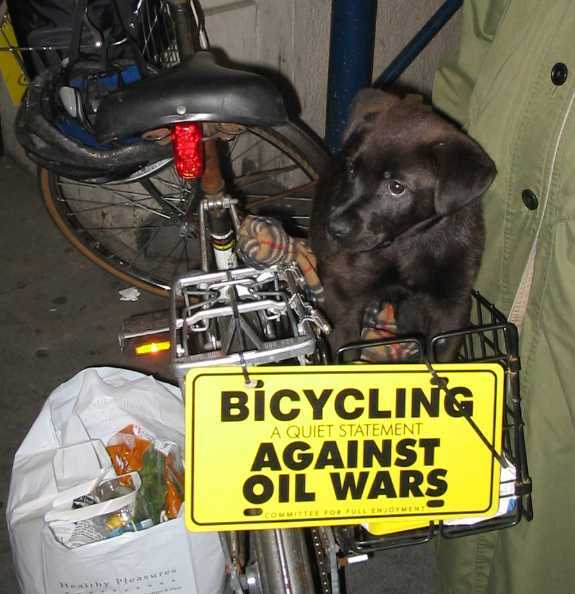 What we really think about the idea of putting the most polluting, gas-guzzling military vehicle on the streets in these times of erratic climate change, oil wars and inflated gas prices. (Mens: orange, women's: light green.) NOTE: The women's sizes run a little small. • License Plate (6"x12", durable plastic) - $9. All orders take 3 to 4 weeks to process and ship. We are a nonprofit, all volunteer-run organization, and sometimes we get bogged down. Thanks for your contribution and for your understanding! Want to know more about what we do? Read a year-end summary of our activities. Other ways to help are to volunteer or make a donation of materials or money.